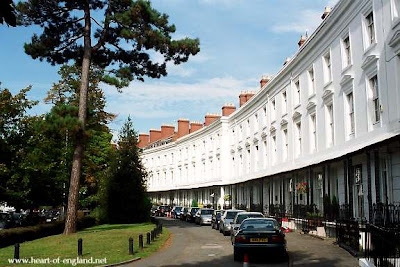 Royal Leamington Spa is a spa town built mainly during the 19th century. 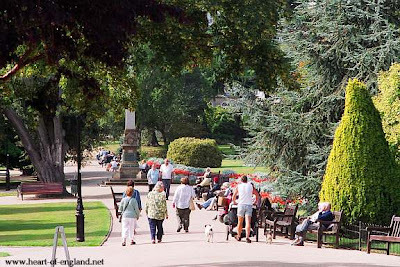 The town was visited by Queen Victoria in 1838, and was given the "Royal" status. Leamington's main architectural characterisitic is it's wide main streets, with elegant Georgian, Regency and Victorian buildings, many lined with trees. 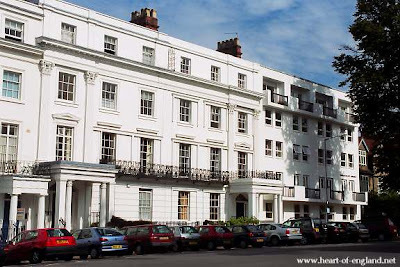 This picture shows Regency style houses in Beauchamp Avenue. Regency style houses in Clarendon Square, built around an area of grass and trees. 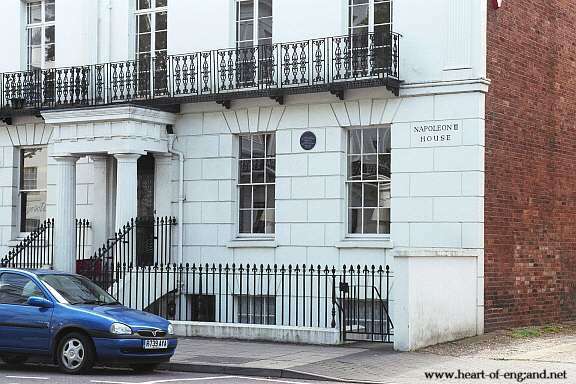 6 Clarendon Square, sometime home of Napoleon Boneparte who spent part of his exile here. 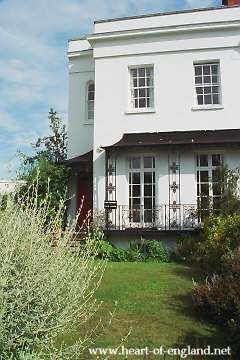 The curving arc of Landsdowne Crescent. 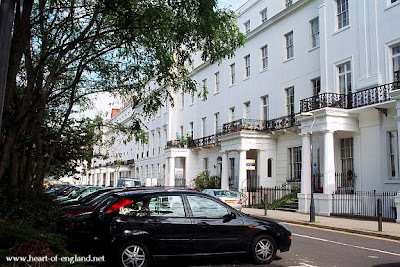 Just off Landsdowne Crescent, is Landsdown Circus, built around a circular area of grass and trees. This house is 10 Landsdowne Circus, sometime home of writer Nathaniel Hawthorne. A spring was known here since Elizabethan times, but the spa became important during the late 19th century. 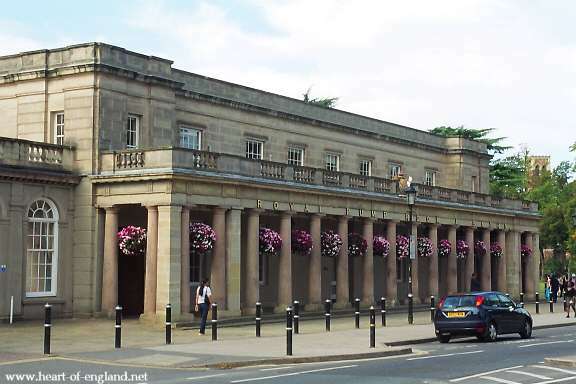 The Pump Rooms were built in 1813. The pump rooms have recently been modernised and now also house a museum and library, and the town's Tourist Information Centre. 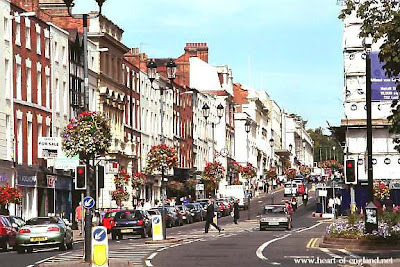 Today most people visit Leamington for its shopping. This is a view looking up Leamington's main shopping street, The Parade. 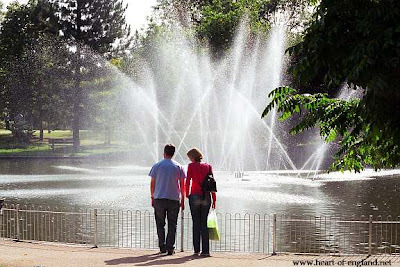 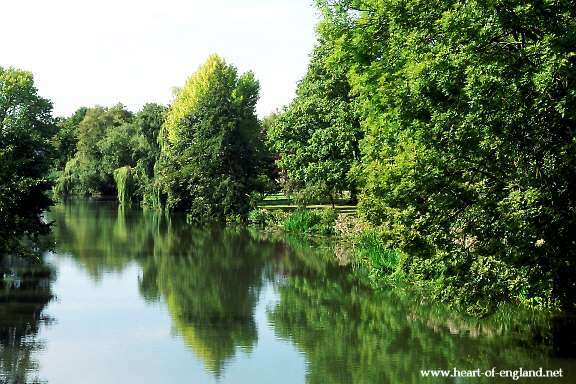 Bordering the River Leam is a municipal park, the Jephson Gardens, named after Henry Jephson, a local doctor who popularised the spa waters. The River Leam, as it runs through the Jephson Gardens. 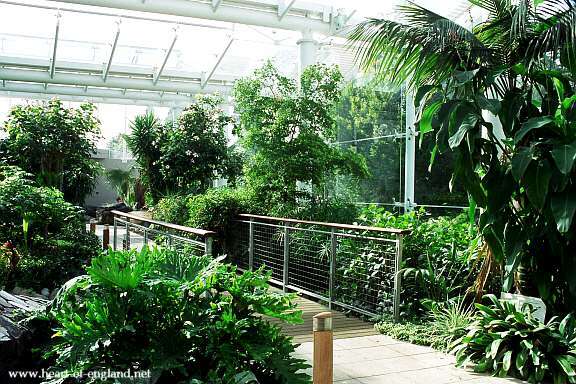 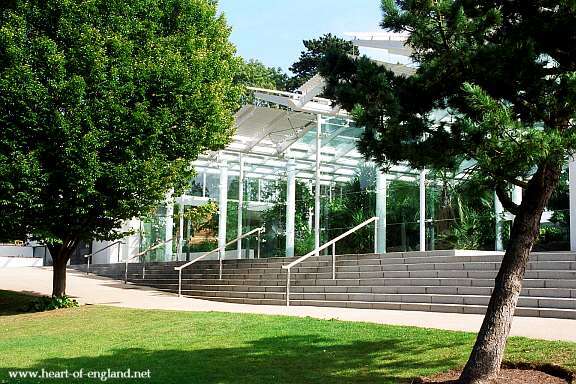 The recently constructed Palm House, in the Jephson Gardens.